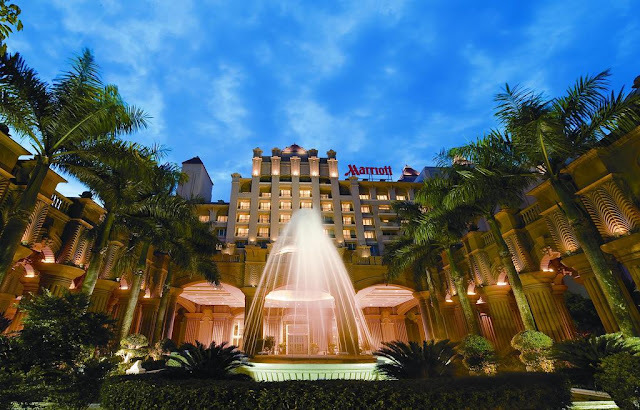 Putrajaya Marriott Hotel is a combination of a Mediterranean-Moorish style hotel set amidst a lush green botanical splendour that's strategically located just 25 minutes from the Kuala Lumpur city centre, Kuala Lumpur International Airport and Sepang International Circuit. 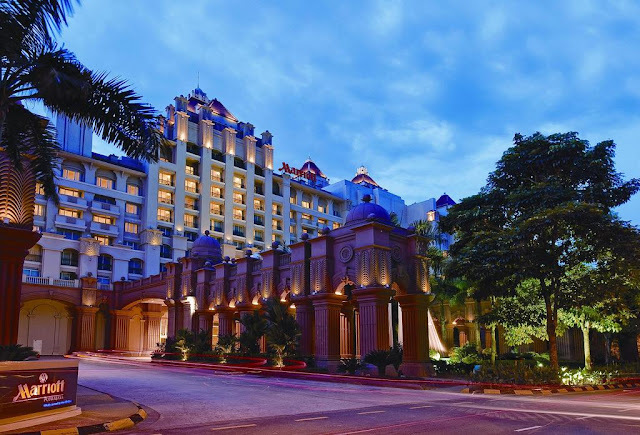 The hotel is the crown jewel of Putrajaya, a preferred business and leisure resort for government meetings and business events. Walking into the newly renovated two acres in width Grand Lobby, you'll be mesmerized by high ceilings with the contemporary colour palette of timbers and panels. Adjacent to the d'Oracle Coffee Lounge, the lobby presents a modern setting with cosy and comfortable seating areas for guests to relax and chill over a cup of coffee. 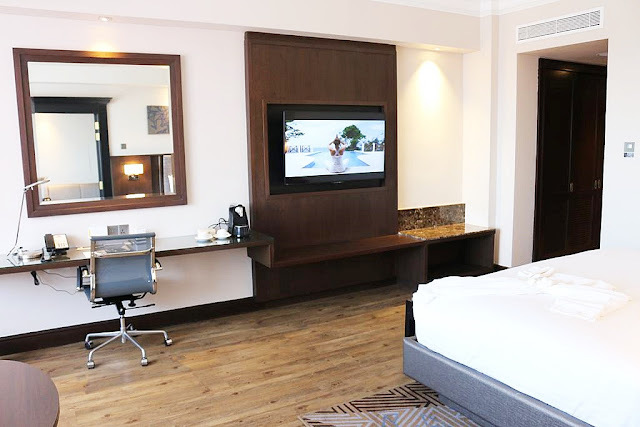 Boasting with a total of 380 elegant and spacious guestrooms, 73 Executive rooms and 35 Exclusive suites, guests can expect to be pampered with all their needs well-taken care throughout their stay in this 5-star hotel. We were happy to know that all the rooms have just been renovated and refurbished last year in 2017. Our room was furnished with a plush king-sized bed comes with top quality bedding for a good night's sleep. 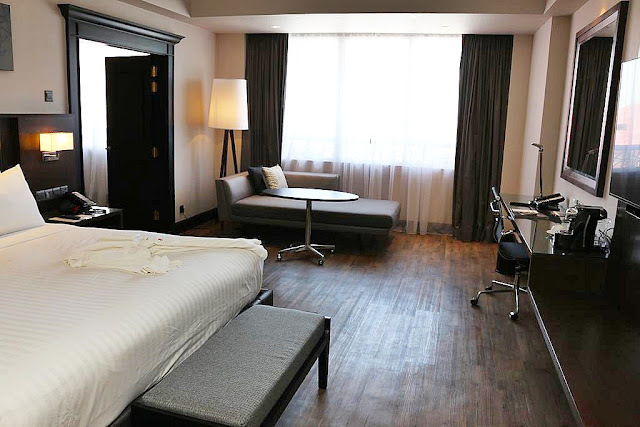 Regulated by Marriott standards, the rooms come with the new Revive® Bedding collection of soft, silky 300 thread count sheets with custom sheeted duvets and extra soft mattresses. Located on 8th-floor, our room features modern and workable space with LCD television with satellite channels, IDD telephone, Internet access, personal in-room safe, steam iron and ironing board. 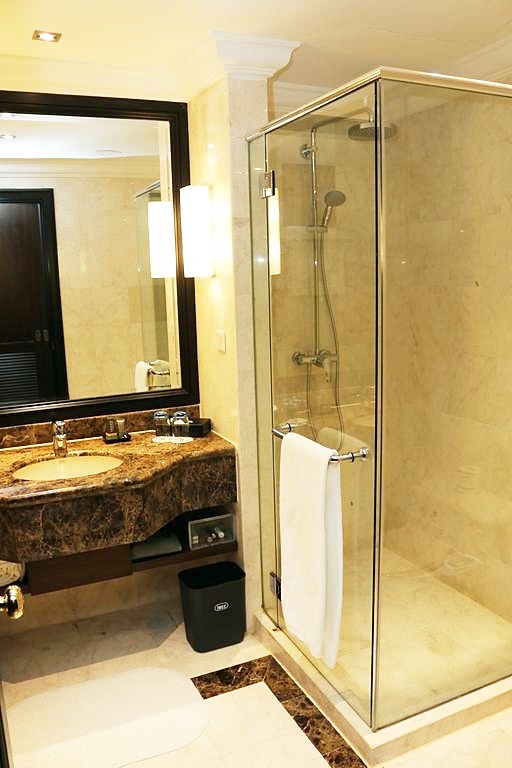 The bathroom comes with a separate bathtub and glass shower cubicle. Making full use of our staycation in Putrajaya Marriott Hotel, we waste no time to check out their extensive range of leisure facilities available for us to enjoy and relax in. Putrajaya Marriott Hotel houses a stunning lagoon-shaped swimming pool surrounded by lush greenery with ample sun loungers for the family to relax in. My hubby and son have a great time taking a relaxing swim in the pool. There's also a children's pool for younger kids to play and paddle in, ensuring hours of fun for the whole family. If you are feeling stress, strained or exhausted from work, then go get some 'Me Time' at the hotel's internationally acclaimed Dewi Teratai Spa for some spa time which is good for your mind and body. The spa offers an indoor or outdoor gazebo option for guest to choose from too. 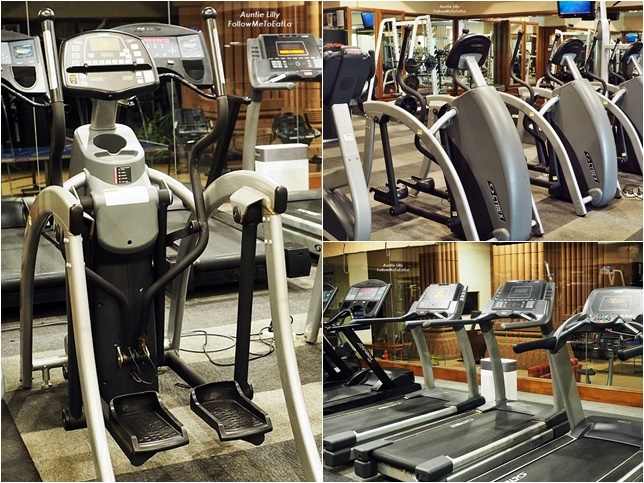 I never miss a day of not exercising for at least 30 minutes a day, so I was at the gym checking out their well-equipped fitness centre. 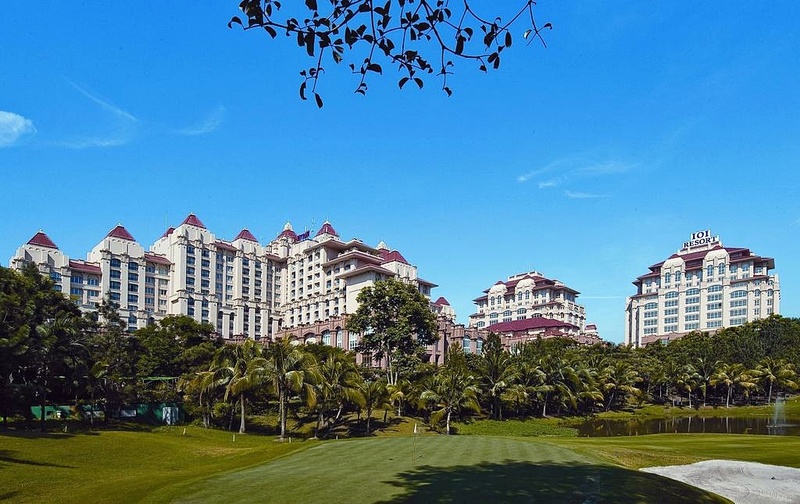 Avid golfers can tee-off at the world-championship Palm Garden Golf Resort, 18-hole championship golf course. 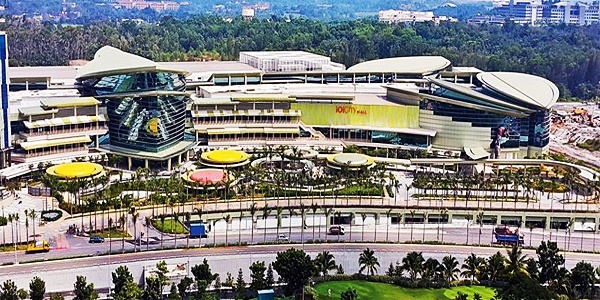 Oh yes, there's the IOI City Mall, situated just a 20-minute walk from the hotel. 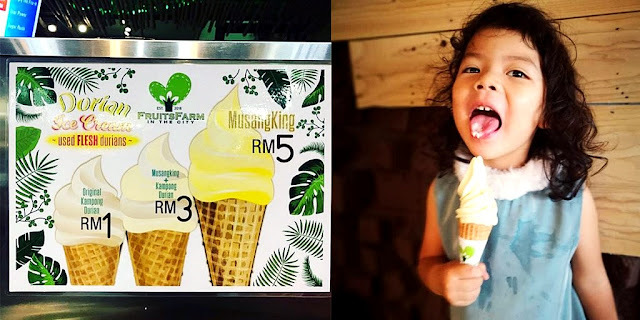 The four-storey megamall is a sprawling shopping, lifestyle and entertainment shopping hub with hundreds of shops, a cinema, indoor ice-skating rink, and theme park in Putrajaya. The hotel provides free daily shuttle services for hotel guest to IOI City Mall too. Families with young children will be delighted to know that there are a well-equipped 'Kiddies World', offering all day long activities for the children to play and explore. Do check out the mini theatre, library with internet facilities with reading corner, playland, private play station booths and traditional games too. 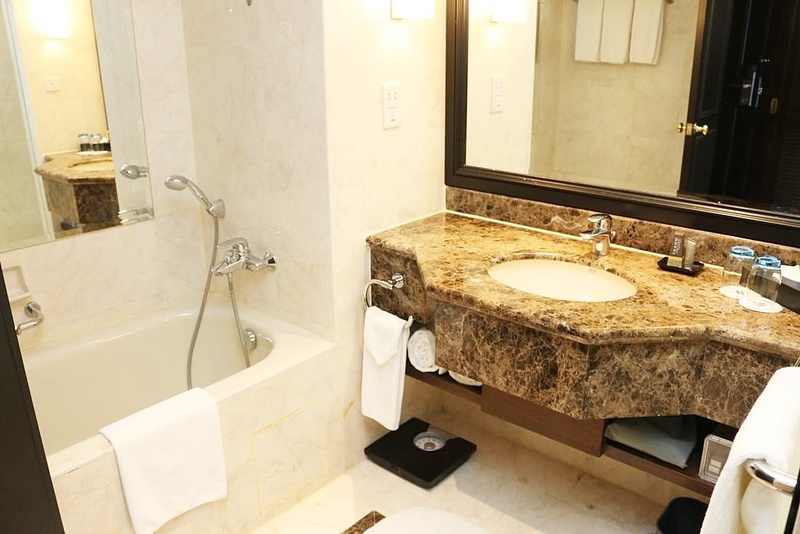 The five-star hotel offers a total of six F&B dining options for its guests. 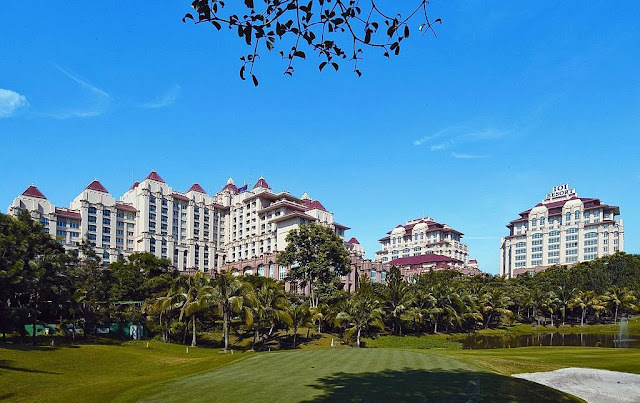 There are Putrajaya Marriott's Chinese restaurant, the Summer Palace that serves authentic Cantonese and fusion-Chinese cuisines. Midori, the Japanese restaurant serves Tokyo-style Japanese cuisine. For light refreshments and a sip of your favourite cocktail, there's the Lobby Lounge that also offers nightly live band entertainment. Connoisseurs of Italian food will be treated with luxurious savouries at the award-winning Tuscany Italian-American Restaurant & Tuscany Bar & Bistro. The serene ambience and fine Italian cuisine promise an exquisite setting for an elegant dining soiree including a bistro and al-fresco setting to enjoy an extensive wine list, a range of pizzas and all new Tapas delicacies in the evening. For tete-a-tetes, there's d'Oracle Coffee Lounge at your convenience that serves quick bites with a range of innovative coffees and irresistible pastries and cakes. For all-day dining privilege, their Zest Lifestyle Restaurant provides guests with refreshing foodscape delighting the senses with the modern contemporary setting. A team of Malaysian chefs in action will be on display to meet the palatial desires of discerning diners today. We enjoyed our dining meals at the hotel from breakfast, lunch to dinner at three of their F&B outlets during our stay. You can read more about what we had in my next food post coming soon. Stay tuned for the next post on the blog where I shall be featuring a detailed write-up on them! Bestnya ada staycation for aunty. I am an event photographer, I love this venue, and I will revisit these Los Angeles event venues in a heartbeat. They have really great staff and pretty decent drinks. Their halls and rooms are absolutely gorgeous. Such a nice blog. If you are planning to visit Shimla and trying to find the hotel rooms in Shimla then visit hotel ck international. Really amazing blog! Thanks for sharing content and such nice information for me. 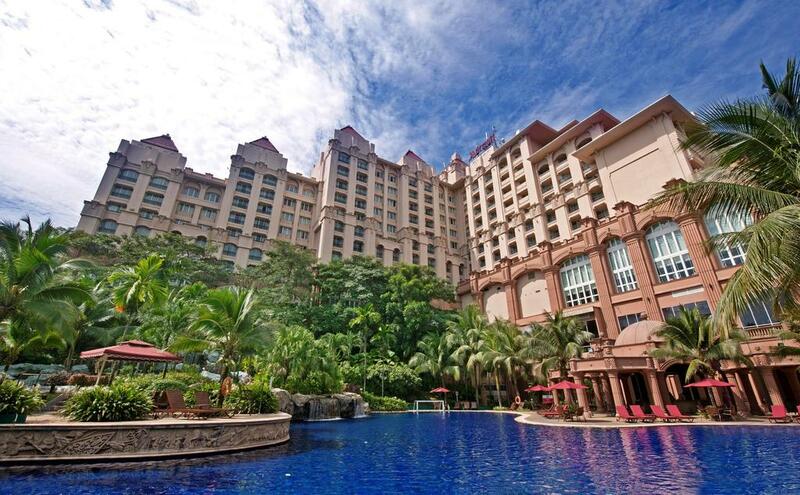 I hope you will share some more information about putrajaya marriott hotel! Please keep sharing! These are such an amazing hotel in Malaysia. I am also going Malaysia hotel through klook Malaysia because its giving klook promo code Malaysia for booking hotel at a cheap cost. Marriott hotel is famous because of its luxurious features. Hope to stay at this soon. Thank you for sharing this.